The Dept. of Education will be attending CEC 13's public meeting on Tuesday, September 1 to share at least one scenario for rezoning overcrowded P.S. 8 in Brooklyn Heights. This would likely move some DUMBO and Vinegar Hill residents out of P.S. 8 and into another school(s). According to the CEC, DOE says they will be presenting a preliminary map and additional details. The expected presentation is not a formal zoning proposal (i.e., it does not begin a timeline that would require a CEC vote within 45 days); rather it is aimed at generating community and CEC input toward a formal zoning proposal that the DOE will submit at a later date. 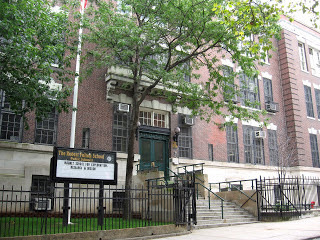 Tuesday’s meeting starts at 6:30 pm at the District Office at 355 Park Place at Underhill Ave in Prospect Heights. More at the CEC website. The Showtime drama "Billions" will be filing in Brooklyn Heights this week on Montague and Clinton streets. 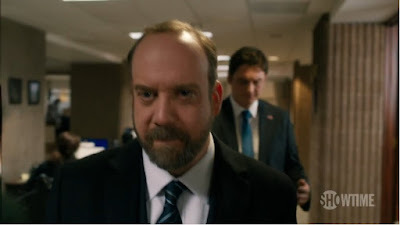 Starring Paul Giamatti, Damian Lewis, Malin Akerman, David Costabile and others, the series will premier on Sunday, Jan. 17, 2016, according to IMDb. In the series, U.S. Attorney Chuck Rhoades (Giamatti) goes after hedge fund king, Bobby "Axe" Axelrod (Lewis). - Last chance to catch Black Lives Matter plays ‘Rachel’ and ‘Las Meninas’ in Fort Greene. The Brooklyn Eagle reports that 24 Cobble Hill Association members have called a special meeting to boot long-time leader Roy Sloane from the position of acting president, and to elect new officers to fill other board vacancies. 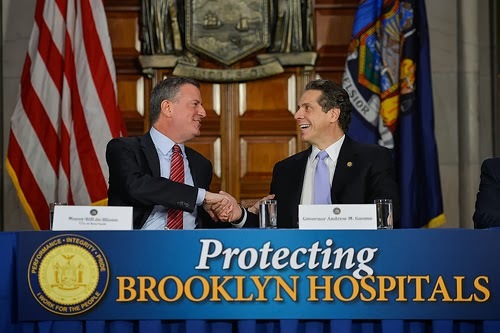 This comes in the middle of CHA-organized community talks with Fortis Property Group, the developer that won the rigged bid to buy Long Island College Hospital (LICH) in Brooklyn and turn it into out-of-scale condos. 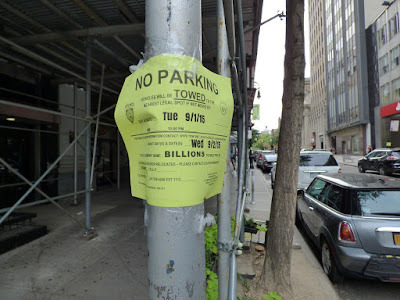 Is the coup part of the death throes of what was once a dynamic community organization -- or a positive infusion of fresh blood in the fight to fight the mega-development of Cobble Hill? On Wednesday, members of the group Brooklyn For Peace demonstrated in front of the offices of Rep. Nydia Velazquez in Brooklyn Heights, in support of President Obama’s nuclear deal with Iran. 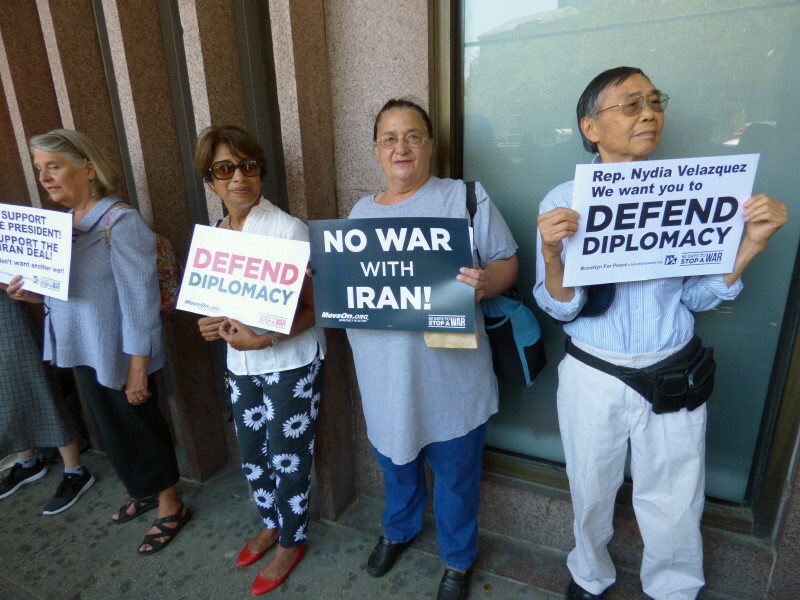 According to BFP's website, "The purpose is to support diplomacy and peace with Iran and counter the poisonous and heavily-financed campaign of opponents to the Iran nuclear agreement." The event was part of a national day of action. 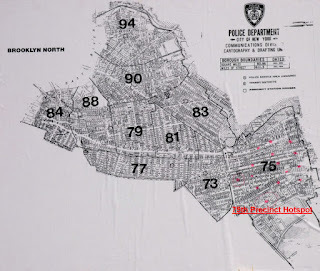 75th Precinct is a homicide hotspot. 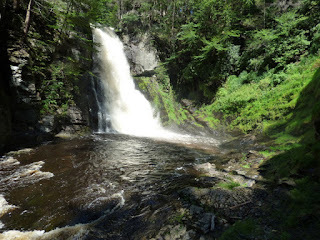 We at McBrooklyn Enterprises have been hiking around in the woods of Pennsylvania, climbing up cliffs, staring at beautiful waterfalls and in general enjoying nature. 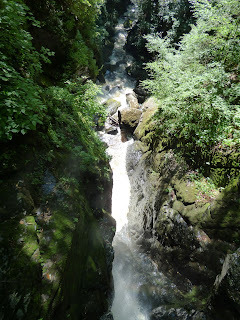 Revelation: The woods of Pennsylvania have billions and billions of daddy long-legs (which look like spiders but are not), and also about half a billion actual spiders. On the other hand, there are almost no mosquitoes . . . unlike Cobble Hill, Brooklyn, spawning ground of herds of horrifyingly mutated Gowanus Mosquitoes. Traveling north to Conklin, NY, we discovered the Hallo Berlin beer hall, sister to the Hallo Berlin restaurant in Manhattan. We enjoyed excellent wurst and salads like potato salad, cucumber salad etc. 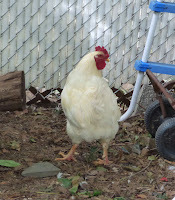 The old-timey establishment keeps chickens, turkeys and baby pigs in the back. Despite the copious number of sausages sold there, the waitress swears "We don't eat them!" We'll be back to Brooklyn tomorrow! 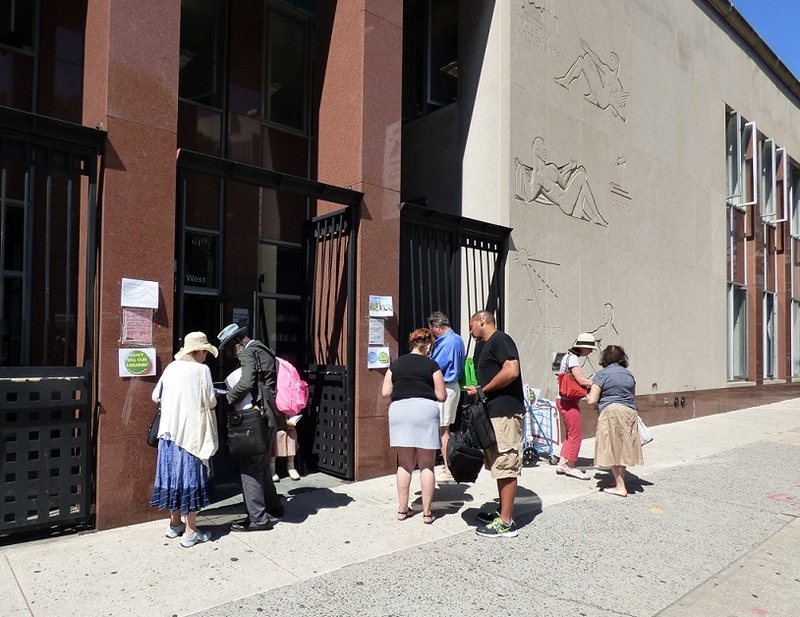 Tonight (Tuesday, Aug. 18) at 6 p.m., Brooklyn Borough President Eric Adams will host a Uniform Land Use Review Procedure (ULURP) public hearing on proposed plans for the Brooklyn Heights Library. 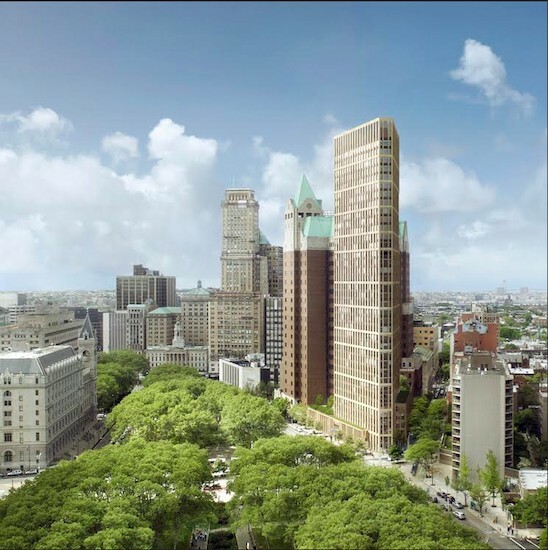 In the plan, Hudson Companies Inc. would build a 30-plus-story residential tower, replace the current library with a smaller one, and construct 114 affordable-housing units in Clinton Hill. BP Adams will hear testimony from community stakeholders, including the Brooklyn Public Library and local residents, regarding their views on the pending application. Get there at 5:30 p.m. if you want to sign up to comment. 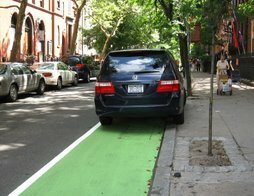 On July 17, at a packed and frequently interrupted meeting Wednesday night, Brooklyn's Community Board 2 approved, with provisions, the much-disputed plan. The added provisions would create a reserve fund of at least $2 million for future capital repairs; require the same "usable" floor space as the existing branch (there is some confusion over what is exactly usable, however); and create a Community Benefits Agreement and a Memorandum of Understanding (MOU). - The captain of the Brooklyn Bombshells roller derby team tells all to the Wall Street Journal. 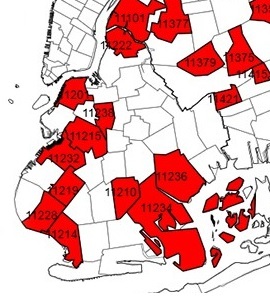 Mosquitoes carrying the West Nile virus have been detected in ten zip codes in Brooklyn, the Brooklyn Eagle reports. 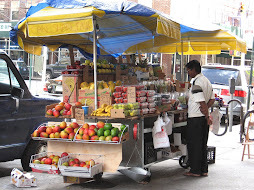 The city's Health Department said that a Brooklyn man was hospitalized with viral meningitis. Spraying is taking place in 15 Brooklyn neighborhoods on Wednesday, August 19, between the hours of 8:30 p.m. and 6 a.m. 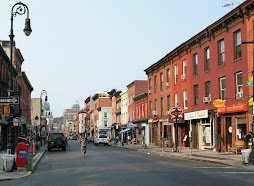 Neighborhoods include parts of Bath Beach, Bay Ridge, Bensonhurst, Dyker Heights, Gravesend, Fort Hamilton, New Utreht, parts of Georgetown, Mill Basin, Flatlands, East Flatbush, Flatbush, Marine Park, Midwood and Mill Island. The Health Department recommends that people stay indoors during spraying, set the air conditioner vent to the closed position, and remove children’s toys, equipment and clothes from outdoor areas during spraying. 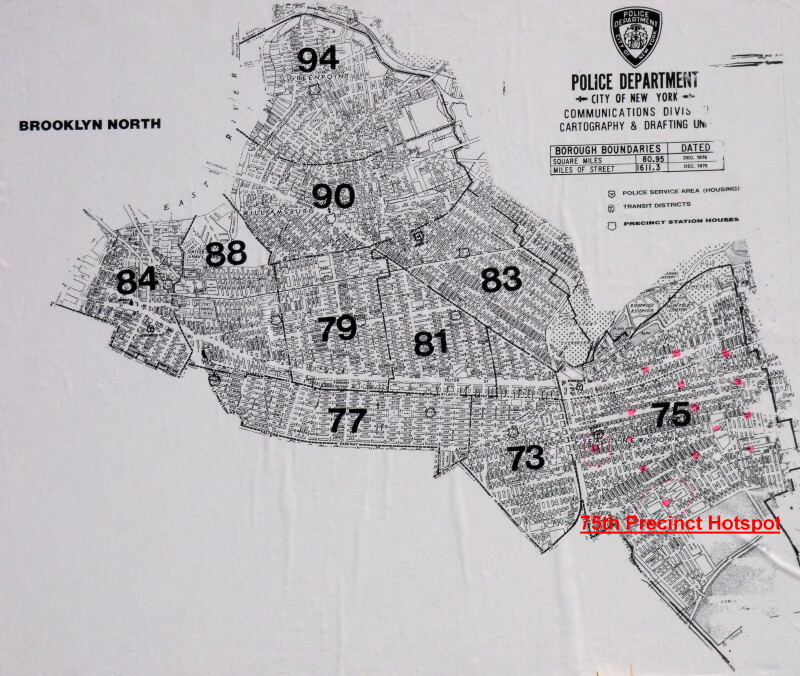 Callers reported two shots fired at roughly 11:20 p.m. in Bed-Stuy, Brooklyn. 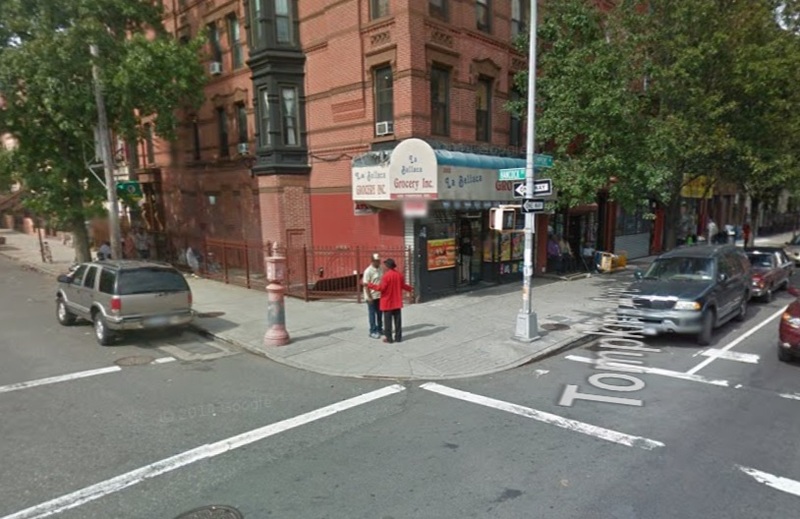 According to the NYPD scanner, that shots rang out near the intersection of Hancock and Tompkins Pl. The Brooklyn Eagle has put together a four-day Brooklyn Bridge Park Staycation guide for those who want to skip the hassle and relax on their days off right here in Brooklyn. 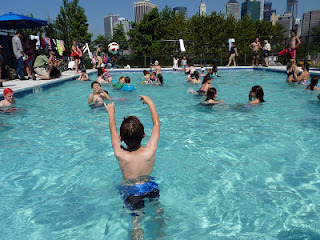 For those with kids and those without, there’s enough going on at the park to keep you busy – or help you mellow out. For those not on a staycation, there's still plenty to do at the park, including kayaking, popping into the Pop-Up Pool, exploring the Baylander, or taking in some Shakespeare at Sunset. 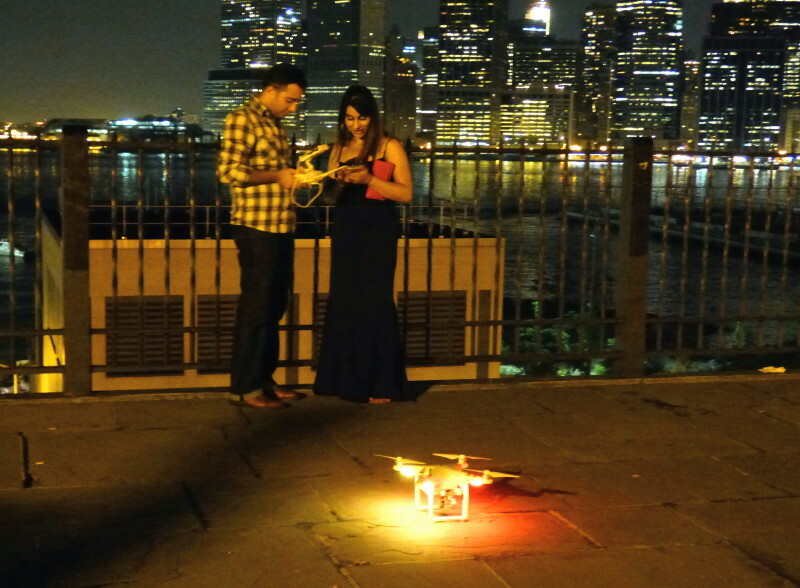 NYPD officers traced the operator of the drone peering into windows of Brooklyn Heights hi-rises on Thursday. 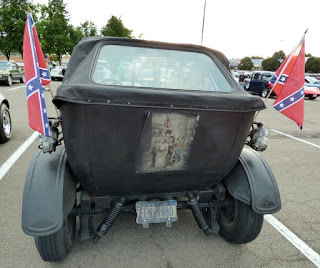 Cops confiscated the unit, according to the Eagle. The above is a photo of the drone seen flying next to buildings on Montague Street on Thursday. 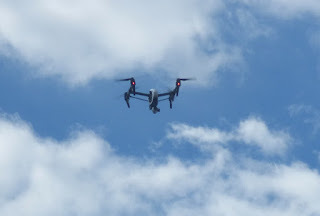 The drone operator made the mistake of hovering outside the window of the Brooklyn Eagle newspaper offices, where photographers shot pictures not only of the drone, but the operator himself, perched atop 189 Montague Street. See here for story and photos of the drone in the Brooklyn Eagle. 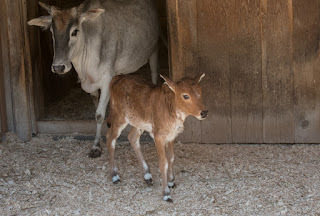 An adorable miniature zebu calf was born at the Prospect Park Zoo on July 21. The zoo tells us that zebu is one of the oldest breeds of cattle, believed to have originated in southern India around 6,000 years ago. Although small, adult mini zebus can weigh up to 500 pounds and measure three to four feet in length. 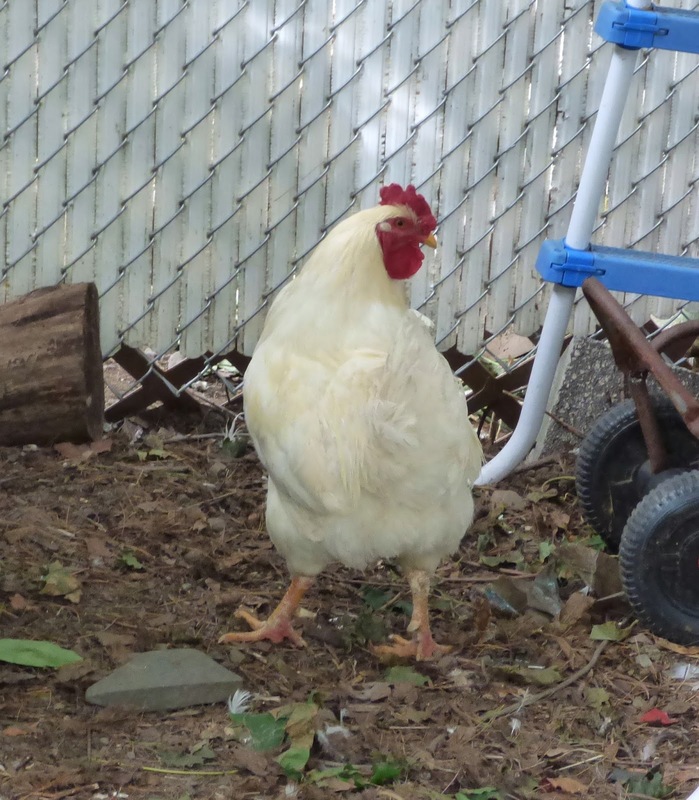 The Prospect Park Zoo also has miniature horses! Brooklyn Heights: Will Squibb Bridge Ever Bounce Again? The $5 million Squibb Park Bridge, which used to be a fun way to bounce from Brooklyn Heights to Brooklyn Bridge Park, is still closed one year after it broke. 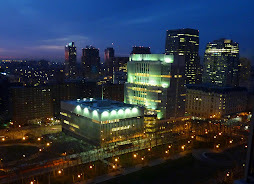 Park spokespersons have repeatedly changed their minds about when it will be fixed, and elected officials have just shot off a letter asking BBP for some quick answers, according to the Brooklyn Eagle. 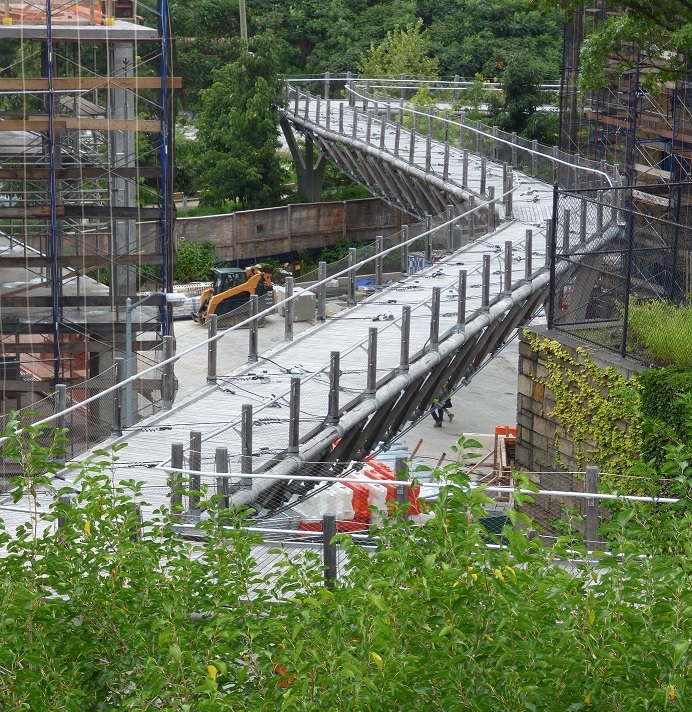 The much ballyhooed pedestrian bridge was closed on Aug. 11, 2014. Bring your beach towel and some popcorn: The film "Frozen" is being shown tonight for free at Cadman Plaza Park in Downtown Brooklyn / Brooklyn Heights, starting after sunset. Seating starts at 7 p.m. 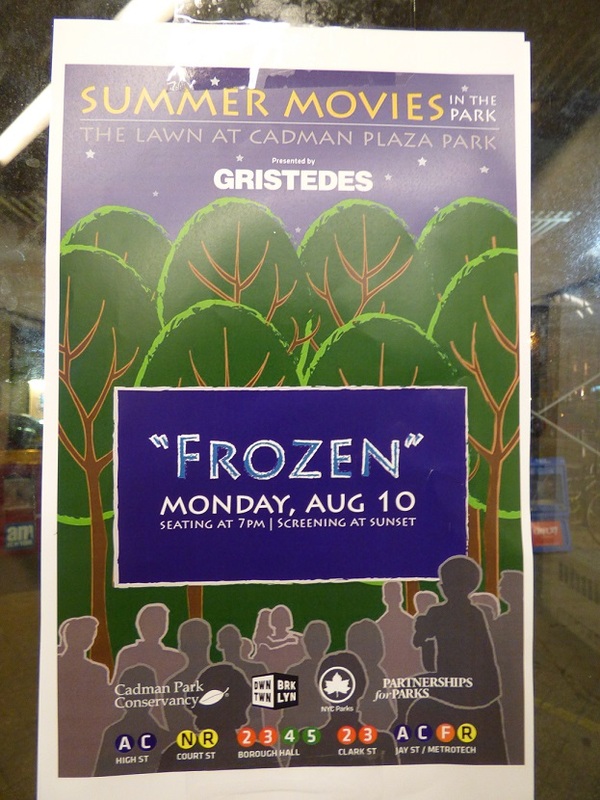 The film is presented by Gristedes, the Cadman Park Conservancy and other sponsors. 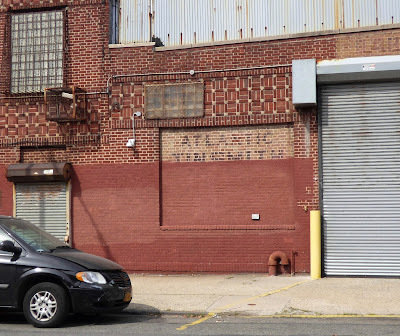 A 66-year-old man was struck and killed on Atlantic Ave. and Clinton Street in Cobble Hill Sunday night. According to tweeter Laurie A. Duncan, the man pronounced DOA at Brooklyn Hospital. Atlantic Ave. was closed from Henry to Court. UPDATE: Brownstoner has more details on the man who was killed. There will be two late-night fireworks displays in New York City tonight. 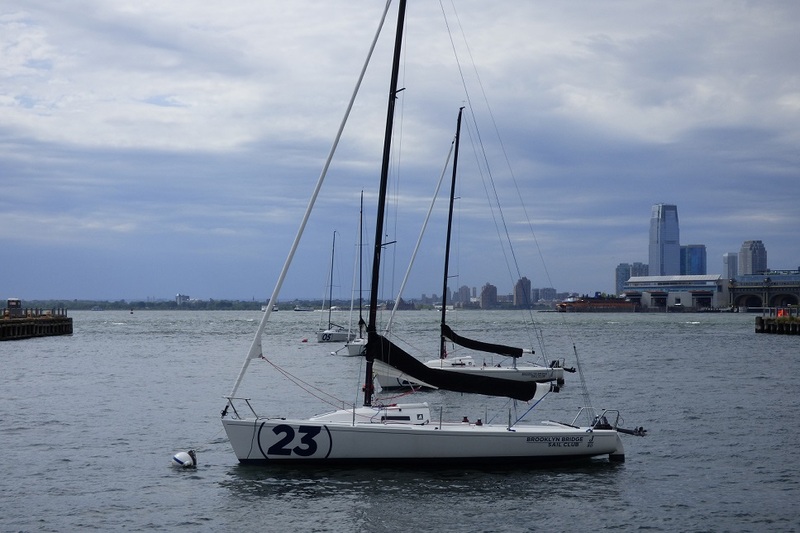 The other will be in the area of Chelsea Pier 60, near West 21st Street and 11th Avenue, at approximately 10:45 PM. 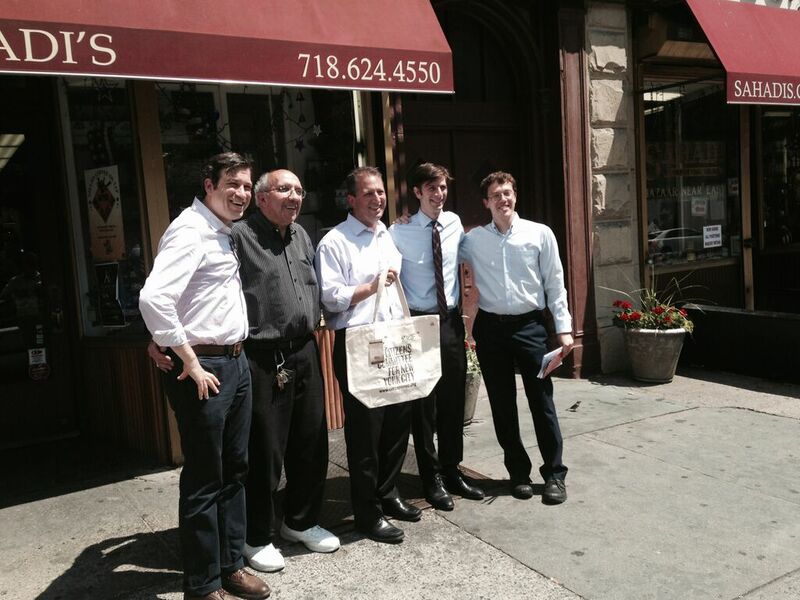 On Wednesday New York City Council Members Brad Lander and Stephen Levin gave away free reusable bags at Sahadi’s, the Middle Eastern grocery store in continuous operation on Brooklyn’s Atlantic Avenue since 1948. The bag distribution was part of a joint effort to encourage reusable bag use and educate shoppers about a proposed bill, sponsored by Council Members Lander and Chin, to place a 10-cent charge on single use plastic and paper bags. “Local business owners across New York like Charlie Sahadi support a ten cent charge on plastic bags because they know it’s a good policy, and one that will not negatively impact their business,” said Council Member Brad Lander. “Each year, New Yorkers use 5.2 billion carryout bags—over 600 bags per New Yorker —and the city spends over $10 million on the disposal of plastic bag waste." Charlie Sahadi said, “After careful consideration I realized that this is the right thing to do for my grandchildren and all future generations." Our opinion: What will New Yorkers use for garbage bags? Plastic grocery bags are the perfect size to throw down garbage chutes. We think this is a give-away to the businesses, as shoppers will have to buy bags anyway. Oops, we seem to have used the wrong photo here. 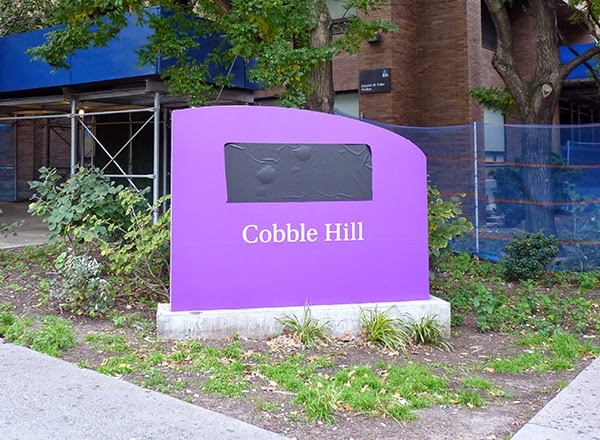 Jim Walden, the white-shoe attorney who worked tirelessly (pro bono) but failed to save Long Island College Hospital (LICH), has been hired by the Cobble Hill Association (CHA) to advise the community on its legal options as a developer prepares to knock LICH down. Walden represented six Brooklyn community groups, including the CHA, in the heartbreaking two-year legal battle to prevent the state from closing LICH. CHA is hosting a public meeting on the redevelopment of the LICH site on Thursday August 6 from 6:30 to 8:30 pm at the Brooklyn Montessori School at 185 Court Street, at Bergen Street, in Cobble Hill. The meeting will include a brief presentation of the options put forth by Fortis, followed by opportunities for community feedback and discussion. More on this at the Brooklyn Eagle and Capital NY. This Sunday, August 9th between 12:30 and 2pm, Occupy the Inlet plans to clog Bushwick Inlet’s waters with as many boats and kayaks as possible. 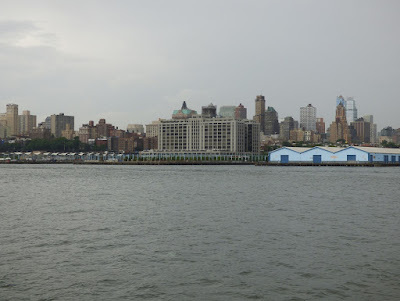 "We invite all the NYC area board clubs to join us in kayaks, canoes, outriggers, SUPs and rowing gigs and raft together to fill the remarkably calm and tranquil embayment on the Brooklyn side of the East River. On land, we will be encircling with caution tape, art bombing and flying protest kites over the 28 acres of land promised by the City as a park in 2005 and now threatened by imminent sale to developers. 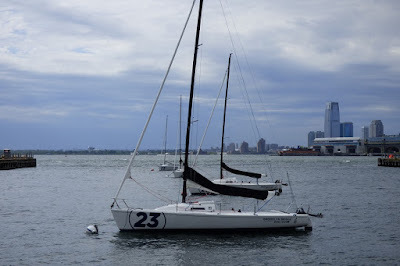 Let’s inundate our park with boats, people and art!" 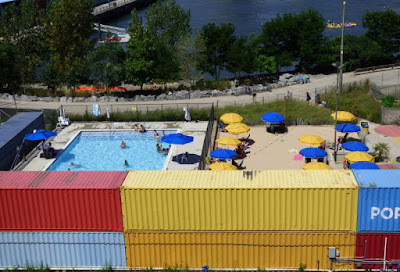 "The goal is to put the screws on City Hall to fulfill its promised 28 acre waterfront park before it’s turned into more luxury residential developments," reports Greenpointers. Soil boring at the site of the Brooklyn Heights Library at 280 Cadman Plaza West is underway to to see just what's under the ground before the planned $52 million luxury tower goes up. 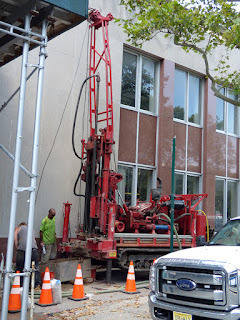 Workers from Craig Geotechnical Drilling were at the site on Tuesday with a drill rig. Hudson Companies Inc. plans to build a 36-story residential tower with roughly 139 units and ground floor retail. They will replace the current library in a condo space on the ground floor and below ground, and construct 114 affordable-housing units in Clinton Hill.